Drug Czar Blasted for Lack of Leadership John Walters is the public face of the drug war, the nation's drug czar. But many activists blame Walters for a lack of leadership, and experts are concerned that the war on terrorism has pushed the war on drugs off the nation's radar. This is the fifth report in a five-part series. Part 1: War on Drugs Hasn't Stemmed Flow Into U.S.
During the course of research for this series, it became apparent that many prominent players in the war on drugs don't have many compliments for the current drug czar, John Walters. The director of the White House Office of National Drug Control Policy is a Michigan native, in his mid-50s, a former deputy director of supply reduction under an earlier drug czar. Though President Bush appointed Walters to be the public face of the war on drugs, some anti-drug activists say he's been the invisible man. "The drug war has really faltered. It has taken a back seat to other issues under Drug Czar John Walters," says Ron Brooks, president of the National Narcotics Officers Association. Brooks is angry that the drug czar's office recommended a sharp cut in funding for state narcotics task forces. Gen. Barry McCaffrey was drug czar from 1996 to 2001. He says, bluntly, that as far as he can tell, there is no federal drug policy at present. "I don't think it's adequately funded," McCaffrey says. "I don't think Congress is paying attention to it. I don't think the news media are writing about it. I think the issue has disappeared off the public consciousness." John Carnevale, a top budget official under four drug czars and three presidents, points out that the drug czar's greatest strength is the bully pulpit — to influence the president, the cabinet and the nation on the importance of fighting drugs. That's not what this czar has been doing, in Carnevale's view: "I think this drug czar has spent all his time hiding inside the building, and not getting on a soapbox to raise awareness of the issue. It's almost as if he's been hiding from the issue himself." With these concerns in mind, NPR repeatedly requested an interview with Walters; his spokesperson repeatedly declined. In his stead, Walters' office made available David Murray, a university professor and researcher who serves as the office's chief scientist. Murray was asked about the criticisms of his boss. "My sense would be you're talking to the wrong people," Murray said. "You are talking with people who have a partial and mis-clarified sense of what the office does." Murray says that criticism comes with the territory, and that his office's work is vindicated by results. He cites record seizures of cocaine, "major reductions" in heroin coming out of Colombia, success in cutting off precursors to methamphetamine coming in from Canada, and steep drops in the number of meth labs across America. "That's success. That's material, palpable success," Murray says. "But a 23 percent reduction in youth drug use in five years? Golly, I wonder who was running things when that happened? Capt. John Walters? Yes, Capt. John Walters — out of this office." Walters spoke about the 23 percent reduction in teen drug use in his speech to the annual convention of the Community Anti-Drug Coalitions of America — the people fighting in the trenches of the drug war. Some said this decline was not reflected in their everyday reality. Ernie Kirby is a high-school drug counselor in Wasilla, Alaska. "In rural Alaska," he said, "we have a lot of problems with oh, huffing, marijuana, and meth. But I don't think the White House numbers are accurate, at least for the Alaskan area." Brenda Armstrong is the coordinator for alcohol and drug prevention in Santa Cruz County, in northern California. She disagreed with the findings, too. "No, methamphetamine is on the rise in our community," she said. "I think marijuana is on the rise. The other drugs have decreased, but not as substantially as 23 percent." And Rev. Tom Lantieri, head of a faith-based, anti-substance abuse coalition in Hartford County, Md., says he sees no decline, just a change in what drugs are popular. "Prescription drugs seem to be the thing kids are getting their hands on, abusing painkillers," he said. Four members of Congress — all prominent drug warriors — have asked for the drug czar's resignation. Sen. Charles Grassley (R-IA) says Walters, even more than his predecessors, manipulates numbers to inflate the Bush administration's successes in drug policy. "When it comes to statistics, I think it's fair to say they cook the books," Grassley said. "They use whatever statistics fit their public relations program." The drug czar's office says that Grassley was "badly briefed." 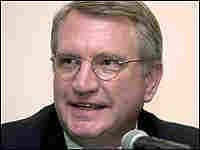 Donny Marshall was administrator of the Drug Enforcement Administration from 1999 to 2001. He has certainly heard the criticism of this drug czar, but he thinks the problem is much larger. "Before I criticize John Walters too, too much, I would ask what kind of a priority is this for the White House themselves," Marshall says. Of the more than 100 anti-drug professionals across America interviewed for this series — in overseas operations, domestic law enforcement, treatment and prevention — very few share the rhetoric of this drug czar: that we are "winning the drug war." Moreover, people who've dedicated their lives to fighting drugs worry about Americans' short memory. "We've lulled ourselves into believing we've either won the drug war, or that somehow it really doesn't matter," says Robert Charles, a former assistant secretary of state for international narcotics and law enforcement. He points out that in 2004 — the last year for which figures are available — nearly 31,000 Americans died from drug abuse, more than 10 times the number who died in the terrorist attacks of Sept. 11, 2001. "My argument would be while counter-terror is important, [the drug war] is one that is easily forgotten," Charles says. "And yet it is one that affects virtually every family in the U.S., in one way or another." Narcotics abuse goes in cycles. It peaked in the early 1980s, then dropped after a concerted national campaign. It spiked again in the late 1990s; now we're in another lull. Soldiers of the war on drugs say this is precisely the time not to back off. If there's anything 38 years of the drug war has taught us, we forget it at our peril, they say... because drugs always come back.